This Epic Life Podcast - Kristoffer Carter interviews Susan Piver, Open Heart Project: Teacher of Being, Doer of Nothing. Susan Piver is our first guest for good reason. Her sublime wisdom blooms in the moment, but so do unscripted perspectives, reflections, and deep belly laughs. Sure, Susan has written 9 books and teaches more than 30,000 people to meditate each week through her Open Heart Project. But she’s also one of the most human spiritual teachers I’ve met. She embodies each of the 3 Permissions we explore on This Epic Life Podcast (To Chill, To Feel All the Feels, and To Glow in the Dark). Susan Piver is one of those people I’m blessed to cross paths with periodically. Her work has had a big influence, and impact on my life— whether it was helping me determine my enneagram number, helping me rethink sobriety as a virtue, or teaching meditation by being an eternal student. My favorite part about Susan is her genuine fascination with most, if not all things. Her presence exudes a calm sense of wonder, wisdom, and perhaps above all— openness. She once let me read her a children’s picture book on meditation. Susan’s a renowned meditation teacher, and New York Times best-selling author of 9 books, including The Hard Questions, the award-winning How Not to Be Afraid of Your Own Life, The Wisdom of a Broken Heart, and Start Here Now: An Open-Hearted Guide to the Path and Practice of Meditation. 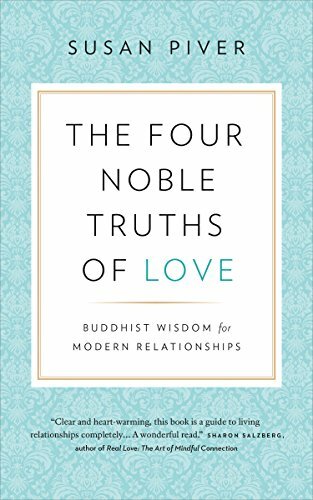 Her latest book is the The Four Noble Truths of Love: Buddhist Wisdom for Modern Relationships. She’s also the creator of the Open Heart Project, the largest virtual mindfulness community the world. Her and her partner Jenna Hollenstein train meditation teachers through their 9 week online program, offered throughout the year. You can find her and The Open Heart Project online at SusanPiver.com.